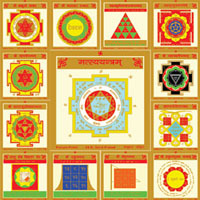 Dashmahavidya Mahayantra is worshipped for the fulfillment of all desires, to become powerful, to attain all Siddhis (Supernatural powers supposed to be acquired through Yogic practice), and to attain all the fourfold Purushaarthas (Four Basic Aims of Human Existence) like Dharma (Discharge of duty), Artha (Acquirement of Wealth), Kama (Gratification) and Moksha (Final Emancipation). 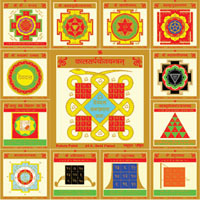 In the worship of Shakti (Divine Mother) Dashmahavidya Yantra is of great significance. As there is tradition of special worship of 10 incarnations of Vishnu in Vaishnav cult similarly the worship of 10 incarnations (Dashmahavidya) of Divine Mother (Shakti) is extremely popular especially during Navratri. In Hindu mythology, tantras, durgasaptashati, kalika puran, narad panchratra and Markandeya purana there are several popular stories about the origin of Dashmahavidya. These 10 forms of Divine mother dispel all evils. These ten forms are associated with the nine planets and lagna just like the ten Avtars of Sri Vishnu. The worship of Devi is divided into two parts based on the waxing and waning of the Moon (Significator of Mother). In the Shukla Paksha (Waxing Moon) represents Durga whereas in the Krishna Paksha (Waning Moon) it represents Kali and the Dashmahavidya. 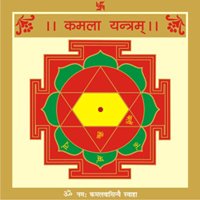 It is noteworthy that among the ten forms the complete Mahvidyas are only two Kali (Saturn) and Tara (Jupiter). The three shakti is Bhairavi (Lagna), Bhuvaneshwari (Moon) and Chhinnamasta (Rahu) are called Vidya. 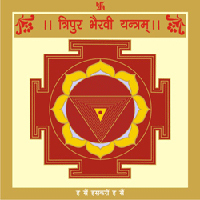 Shodasi or Tripursundari (Mercury) is called Srividya.The remaining four shakti forms called dhumavati (Ketu), Bagalamukhi or Mangala or Hingula (Mars), Matangi (Sun) and Kamala (Venus) are called Siddh vidya. 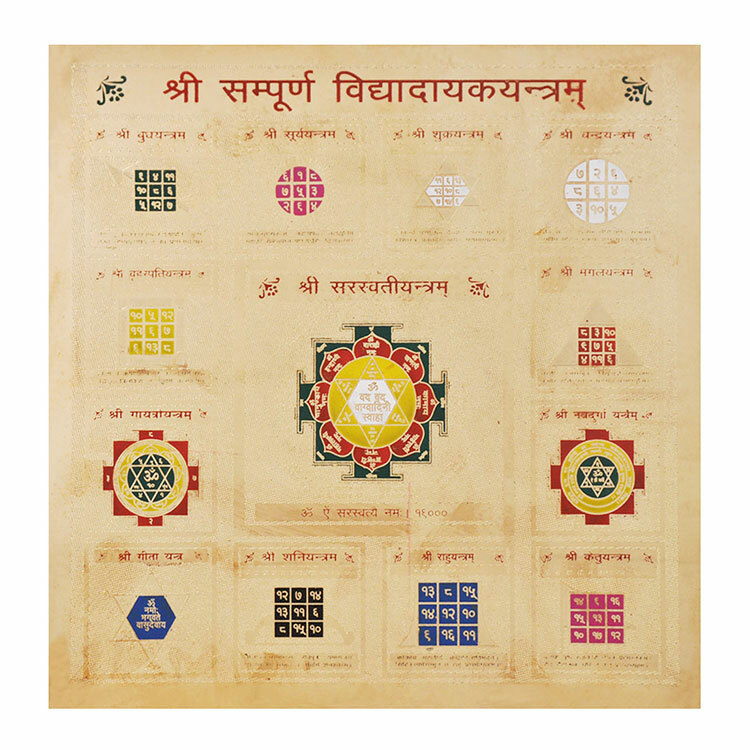 This Dashmahavidya Mahayantram is worshipped by establishing the yantras of all dashmahavidyas viz, Kali, Tara, Tripurasundri, Bhuvaneshwari, Tripurabhairavi, Baglamukhi, Chhinamasta, Dhumavati, Matangi and Kamla around Sri Sri Yantram. The combined blessings of all these powers of goddess can make our life more meaningful and successful. Mantra :- "Om Shreeng Hreeng Shreeng Kamaley Kamalalaye Praseed Praseed Shreeng Hreeng Shreeng Om Mahalaxmyai Namah"
In addition to that recitation of individual mantras of Dashmahavidyas or Mahalaxmi and chanting of Dasmahavidya Stotra, Durgasaptashati, Durgasahastranam, Srisooktam, Laxmisooktam or Saundaryalahri can also render positive results in terms of achievement of desired objective.